Exercise by itself is not the most important method for weight loss and lowering body fat levels. Critics popped up to point out that this message probably doesn’t help individuals trying to make healthy lifestyle choices in the current epidemic of obesity[i]. In the wake of this debate, I want to take a moment for those in the Crossfit community who are be-muddled by this issue. I’m writing with the ones in mind who attend religiously, work hard and still struggle with a little (or a lot) of extra wobble. There could be scarce situations more frustrating that giving 100% to your WODs, suffering the pain, pushing yourself through only to be disappointed with the results. As with all media reporting of scientific research and medical advice, it has to be taken in context. Media benefits from simple, punchy headlines and sound bites. However, human behaviour and the body rarely function in such simplistic ways. In practice, I find that almost nothing is as destructive to health or as conducive to obesity problems as overly simple, concrete ways of thinking. 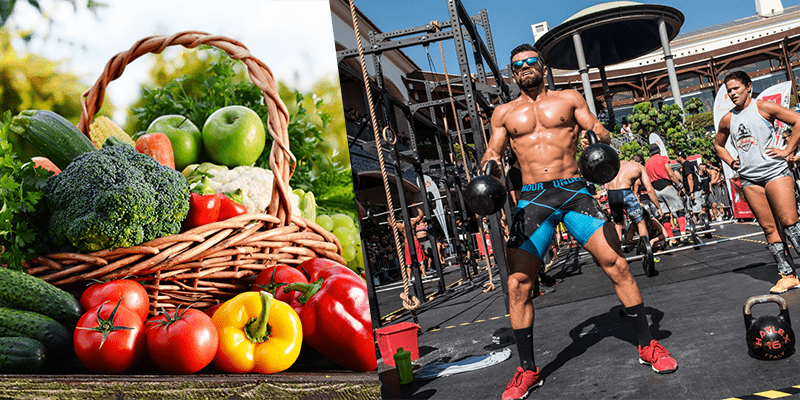 Here, I want to de-tangle some of the seductively simple ways of thinking for the overweight Crossfitter, with the hope that it will encourage healthier mindset, healthier body, better mood and more appropriate support from fellow Crossfitters and coaches. Crossfit is a great tool to combat obesity. Built on the principles of intensity and variety, it encourages body changes better than traditional workouts by continually challenging the inertia we naturally find when left to our own devices. It’s not important to work as hard as everyone else, you only have to work your hardest. With a different workout every day, your body can never really adjust and settle into comfortable patterns, as is our natural human tendency. Another reason Crossfit works is that it provides a community. Sources of support are essential to beat a weight problem. Being involved with a group that wants you to be successful and healthy often provides a stark contrast to the relationship and lifestyle factors that keep obesity going. If we’re all honest with ourselves, food is a lot more than nutrition. It provides good feelings, it’s a social practice, it can be a comfort or a substitute for feelings, family or friends. Having a community, developing friendships, makes giving up the addiction-like behaviours people have with food more possible. Crossfit also asks participants at all levels to think and behave like athletes. Being competitive, measuring results against self and others, and learning about our strengths and weaknesses along the way are examples of how Crossfit changes our approach from average to athletic. The mindsets of a successful athlete differs from your average person, and in some ways might been seen as the polar opposite from the mindsets that lead to obesity. 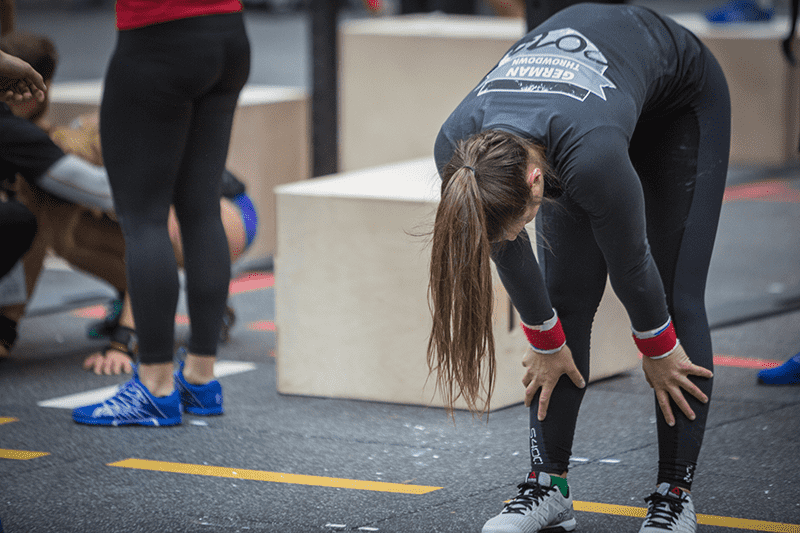 Crossfit offers a rare opportunity to confront self-sabotaging and failure-prone mindsets head on through real-time, larger-than-life behaviours. This has the potential to create real, lasting changes to lifestyle by radically changing our views of self, failures and set-backs. All vitally important to break free from excess weight for a lifetime. Exercise gets hearts pumping, lungs working and uses calories that theoretically would not have been used had we sat on the sofa. Crossfit is hard work. Scaled or Rx’d, it’s going to feel tough. All that effort will create some changes in the body – building muscle and beefing up cardiovascular capacity – but in itself, is not enough to reverse the effects of excess weight. Additionally, our perception of effort has a profound effect on us, which bring me to the other side of the story: when it doesn’t work. 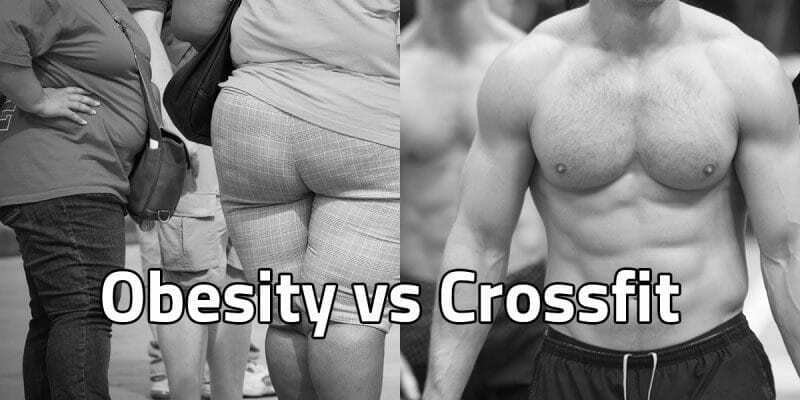 Crossfit is not the holy grail for the obese masses. In some ways, common attitudes about extreme levels of effort for the express purpose of weight loss can be classified ‘obesogenic’, in that they actually encourage weight gain. Food behaviour can be broken down into chain reactions of events that encompass internal mental assessments, moods/feelings, decision and actions. To appreciate this process fully, we should take into account the common language and myths surrounding exercise that become part of the internal assessment process. When exercise is viewed as a tool to ‘burn calories’, fixing a weight problem is doomed. At the most basic level, it is about a lack of appreciation for the body. Media, the fitness industry and even previous medical opinion about the role of exercise for weight loss has implied that punishing the body is the key to success. But in reality, this is just the other side of the same coin. Obesity-related mindsets are usually full of self-punishing beliefs that fit all too easily into this trap. The body is seen as an enemy; viewed like a machine – input and output – rather than a living being that needs care, nutrition, hydration and the joy of physical movement. The big difference between people in Crossfit whose bodies change and those whose don’t is their attitudes and beliefs about their bodies – whether they are to be cared for or whether they are to be beaten into submission. It’s not a problem that people might first venture through the doors of the box looking to lose weight. They may be inspired by others and the bodies they see, and that’s also not a problem. What I would encourage them to do, and those coaches and box-mates that want to help, is to look beyond the cycle of punishment and reward. Part of developing that successful athlete’s mindset mentioned earlier is to enjoy the physical challenge and to always provide the body with what it needs. Not necessarily what it wants or craves. And not to deny it of its needs either. Aim to heighten your awareness into the thinking behind your exercise and food-related impulses. And watch out for attitudes that suggest you are seeing exercise like punishment and food as reward. Despite what society might lead us to think, every body – regardless of size or shape – deserves to be treated with respect. By knowing what to and what not to eat, you will maximize your efforts trying to lose weight. The seven tips below will guide you on your way to proper nutrition and efficient weight loss.